Your heart is pounding and your hands begin to sweat as the adrenalin pumps vigorously through your body. Does this sound like the moment just before you proposed? Relive this feeling on the paintball field, but this time around have your best mates there for support! Send the buck on his way with a bang… literally. Will you light him up like a Christmas tree, or will he be quick enough to avoid the barrage of paintballs? Delta Force has organised countless action-packed fun-filled buck’s parties. Whether you’re the best man or just a concerned friend, give your mate the best buck’s party imaginable. 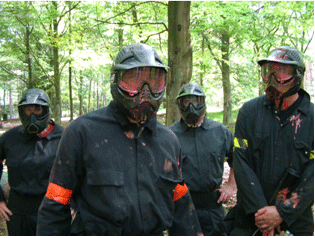 Organise a day of adrenaline-fuelled paintball action for a day you’ll never forget. Call the booking office today on 1300 850 744 and start prepping the entourage.